Celebrating the life of Francis Harold Williams, Jr.
Obituary for Francis Harold Williams, Jr.
Francis H. Williams, Jr., better known as Harold, was born on April 27, 1949 to Francis H. Williams, Sr. and Julie B.W. Walker, the first of three children including Darlene and Rodger all born in Colorado. He is preceded in death by his father. Harold attended Cherry Creek High school where he developed a lifelong love of athletics by competing in track, basketball and tennis. He also found joy in music and played the trombone and piano. In 1967, Harold left Denver to attend Adams State College in Alamosa, Co. where he met the love of his life, Cynthia E. Williams (nee Jorman). They rooted themselves in Denver, were married for 47 years and together, they raised two daughters, Cristel and Adrienne. Harold had a love for math and science and dedicated 35 years to IBM as a Data Base Administrator. Outside of family and work, he lived a full life that centered on helping others. Harold was as a member of Shorter Community A.M.E. Church for his entire life and drove the church van for immobile seniors. An avid golfer, you could find him playing 18 holes on courses throughout the city with his buddies. Harold was also committed to seeing the world and travelled extensively, nationally and internationally, with family and friends. Harold will be remembered as a kind, humorous, and gregarious person who enjoyed music, golf, skiing, making people laugh, reading, movies, traveling, and his love for his family. Harold leaves behind his wife, Cynthia E. Williams of Atlanta, GA. Two children: Cristel R. Williams of Atlanta, GA and Adrienne N. Williams (Tara) of Atlanta, GA.: his mother, Julie Walker; his five siblings: Darlene F. Williams of San Antonio, Texas, Rodger T. Williams of Ovilla, TX, James Simms (Rebecca) of Phoenix, AZ, Janice Simms of Phoenix, AZ and Judith Williams Lawrence (Carlton) of Denver, CO and a host of other relatives and friends. To send flowers or a remembrance gift to the family of Francis Harold Williams, Jr., please visit our Tribute Store. 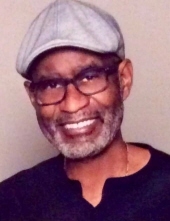 "Email Address" would like to share the life celebration of Francis Harold Williams, Jr.. Click on the "link" to go to share a favorite memory or leave a condolence message for the family.